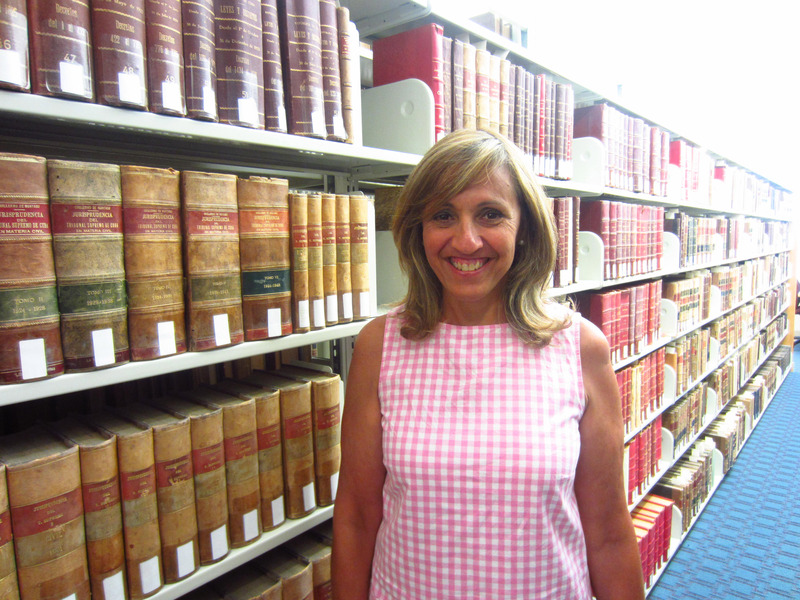 A first-ever Miami Law short course, “Cuban Civil Law – Myth or Reality?” is being offered in the Fall 2014 semester by visiting Professor Maria Elena Cobas Cobiella. The one-credit class introduces students to the fascinating and complex world of Cuban civil law and is taught in Spanish. The week-long (August 25-30), intensive course focuses on current issues in the legislative field from a practical approach, with special reference to property rights in Cuba, the Cuban hereditary system and family law, including matters related to the private sector as well as the main new developments in foreign investment. The course highlights the troubled trajectory that Cuban civil law has had since 1987 when the Cuban Civil Code (Law 59) was passed until the present day. The course arose from the need to explain the existence of current Cuban civil law to the legal and cultural world,” said Cobas Cobiella. “Teaching a course in Spanish facilitates that future legal professionals can interact with a world in Spanish and understand their realities from a closer position. Indeed, it is unusual, but there are concepts that can only be explained through the Spanish language. For instance, what is 'linked housing,' or a 'frozen zone,' or how someone can inherit under the Cuban civil law? Cobas Cobiella says the target audience is students who want to work tomorrow with Cuba and with the development of a "new Cuban law," as well as, any professional that seeks to understand such a particular reality. The main objective is to explain the current reforms in Cuban civil law such as housing, land registry, and transport. Cobas Cobiella was born in Havana, Cuba and holds a law degree from the University of Havana and a Doctorate of Civil Law from the University of Valencia, Spain. She also has a Master's in Private Law from the University of Valencia and ADEIT Foundation, Spain. It is the first time Cobas Cobiella has taught a course focusing on Cuban Law since leaving Havana. Cobas Cobiella has been a Senior Lecturer in the Department of Civil Law at the University of Valencia and was previously a professor of law at the University of Havana. In addition, she was a Professor of the School of Public Health, Ministry of Public Health of Cuba in the area of masters and postgraduate degrees. 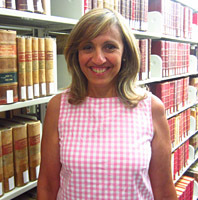 She was Director of Law at the European University of Madrid, Laureate Universities in Valencia and is a member of the College of Lawyers of Sueca, Valencia. She specializes in civil law, family law, notarial law, immigration law, and issues related to bioethics and law. The course is taught in Spanish and open to auditors. It runs from August 25th through 30 and meets in G263 (second floor of the Law Library): Monday through Thursday from 12:30 until 1:50 p.m., Friday from 2:00 to 5:00 p.m., and Saturday from 10:00 a.m. concluding at 1:00 p.m. Students wishing to enroll for credit can do so through CaneLink. For further information or to audit the course, please contact Lori Maroon at 305-284-9208 or lmaroon@law.miami.edu. “I am excited because it has been too long since I have had the opportunity to teach Cuban law, and to teach it here in Miami, and especially at your prestigious institution feels almost like a homecoming. There is human warmth in Miami that is unique and that I think is the result of the immense cultural diversity that is so evident everywhere here. It also feels like the right moment. After I had to leave Cuba and began teaching at the University of Valencia in Spain, it was heartbreaking to think of Cuba. But with time I have gained the personal stability and the critical distance to view legal questions pertaining to Cuba with greater objectivity and with the experience that scholarship in European law has given me,” Cobas Cobiella said. “Behind all, there is always an interesting story. Cuba is that mysterious country of tears, which makes everything extremely personal,” she said.